Commonly known as puka, akapuka or shining broadleaf, Griselinia lucida is handsome, usually epiphytic plant species (a plant that grows harmlessly upon another plant such as a tree) native to the North Island of New Zealand, and restricted areas of the South Island. 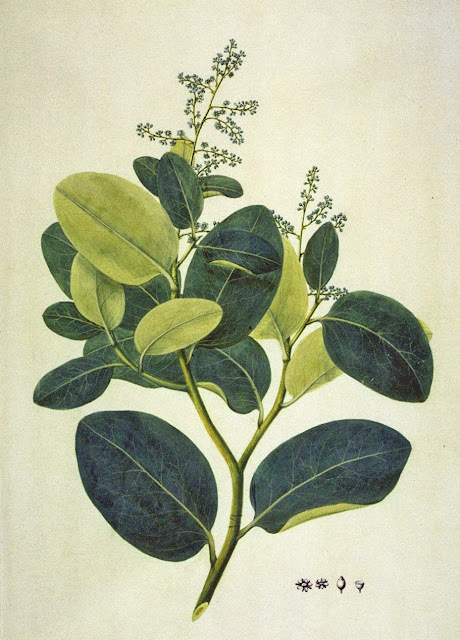 In its native habitat, Griselinia lucida is usually found in wet, lowland forests and open or rocky coastal environments. It is noted for its large, asymmetrical, shiny, dark-green leaves that can be up to 18cm long when mature. When grown as an epiphyte it will also produces distinctive fluted roots descending down from its host tree. 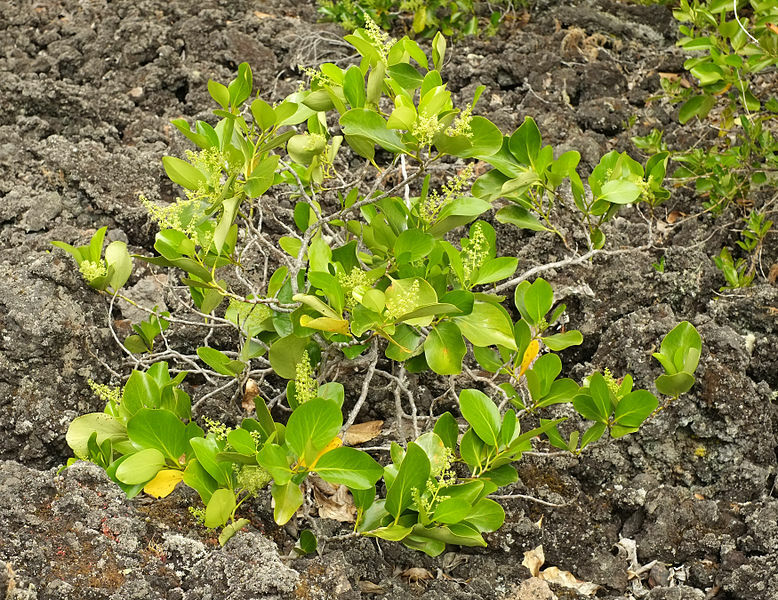 That being said, Griselinia lucida will also grow well as a soil-grown species where it can reach an approximately height of 5 metres, with a width of 2 metres. Greenish-yellow buds are produced on panicles open up to display small star-shaped blooms. It is a dioecious species meaning that the male and female flowers are produced on separate plants. Once pollinated, small fruits appear which ripen to a dark purple colour. Griselinia lucida can be planted in both full sun or semi shade. It will perform best in a free-draining soil, in a sheltered position and as you would expect from its native habitat it is tolerant of coastal conditions. Avoid soils prone to waterlogging. While it has proven to be frost tolerant, the tender new leaves are easily damage by cold weather. Despite this, Griselinia lucida is only really suitable for growing in the very mildest regions of the United Kingdom and Ireland.